Helping with homework is part of everyday life once your kid hits school age. For the first couple of years it isn't hard stuff, but you know that one day your kid will have an assignment that stumps them and you. Luckily, you have other options besides furtively googling the answer while your kid isn't looking. There's no shame in turning to others to help your kid understand their homework. Forcing yourself to try to help them when you're not equipped can lead to frustration for you and your child. Using the resources you have available takes the pressure off everyone and helps your kid learn the material. Don't be embarrassed to reach out to your child's teacher. More than likely, they want your kid to succeed in their class and can point you towards legitimate online resources or refresh you on the concepts your kid is learning. They may even be able to share their lesson plans or point you toward the right version of the textbook they're using, so you can get your own. Check to see if your child's school offers programs they can attend after class is over, perhaps a "homework club" or other group where teachers or volunteers provide guidance. If you feel your kid is spending too much time on homework, The New York Times suggests pushing back with your school directly. Reach out to your child's teacher directly or to the principal of the school. If you're able to bring other parents into the conversation, you'll have a stronger position to get homework reduced to a reasonable amount. Private part-time tutor: Someone who does tutoring part-time while they work another job or go to school. Your local university is a good place to find this kind of tutor. Tutoring service: A company that provides tutors to help your child with their homework or other academic skills. Online review sites or your friends and family can help you find tutoring services in your area. The ability to measure and accurately diagnose strengths and areas of improvement rather than relying only on the student's report card or what the parent communicates. Individualised lesson plans based on the child's ability. Finding support for your child with an ongoing tutor or tutoring service can help them achieve both short and long term goals. You can also continue to use the service during holiday breaks to make the transition back to school easier. As a pre-service primary school teacher, I just thought I'd stick my head in here and mention that a lot of research tends to indicate that, during primary school, other than reading novels (as reading skills are essential and only develop through exposure) children shouldn't really be expected to complete that much homework. 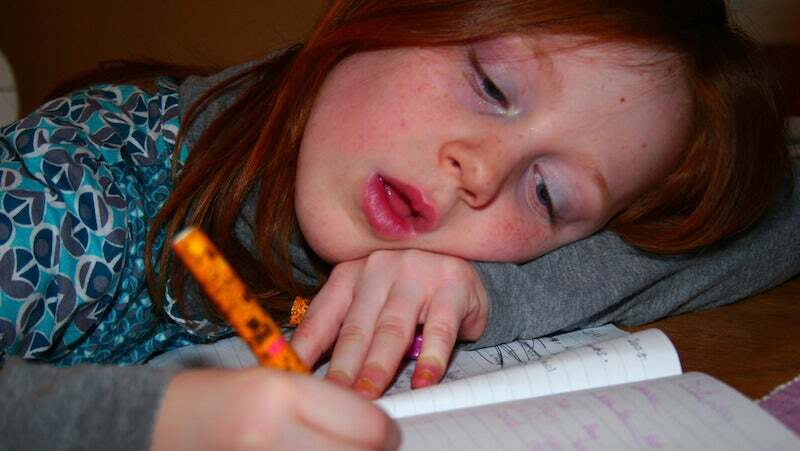 At the very least, the schedule of X minutes of homework every night is generally viewed to be sub-optimal, and the use of infrequent but more engaging and involved projects for students to work on tends to lead to deeper learning.